“Perry DeWilde re-modeled our master bathroom, moving a door, the toilet, installing a new vanity with “in-wall plumbing”, new lighting, fan, cabinet and tiled shower with complex design (three different kinds of tile and river pebbles)–personally doing the carpentry, plumbing, electrical, and tile work. We got 4 bids for this job and Perry’s was the lowest, involving no sub-contractors. Perry has a great aesthetic sense, work ethic, and is a highly skilled craftsman. He is a congenial and pleasant person, and we missed seeing him daily when the job was completed. We look forward to hiring him again. If you would like to do a little more to your bathroom than a surface remodel, you have found the general contractor here in Marin County that can help you to realize the bathroom you have been dreaming about. Now is a very good time to remodel your bathroom. With the combination of reduced material prices, rebates available for water efficient toilets, tankless water heater rebates, you can get a lot more for less money than you could a few years ago. One of the fun things to do when you own a home is to make it your own. Whether you are going to remodel the half bath that your visitors use or the master bathroom for yourself, if you start with a plan you are half way done. Now that you have found your bathroom remodeling contractor, we will guide you through the steps of a successful bathroom remodel. We will outline the bathroom remodeling process for you so you are more fully aware of what you will need to do, as well as know what to expect from us, your bathroom remodeling contractor. There is no time like the present to get started on remodeling your bathroom, that you are on this website shows you are serious about moving forward. We can help you put a half bath in where there isn’t one, make your master bath bigger or get rid of that ugly tile or vanity that you have been living with. The reason you are reading about remodeling your bathroom is the reason to give us a call right now or fill out the contact form so we can contact you at your convenience. Let us help get the ball rolling for you, we will help you gently through the process. 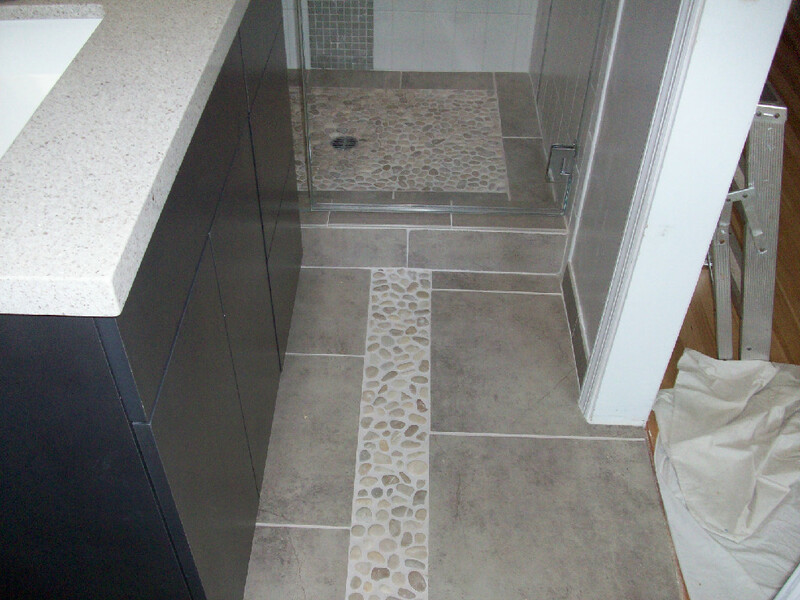 We are a full service from beginning to the end, from design to the final touches for your bathroom remodel. Because we are general contractors we will be able to handle all of your needs in house. We can help save you time and money because we don’t have to wait for another contractor to fit us into his schedule. We handle everything for you except picking out what you want to put it your new bathroom, of course we have plenty of ideas and are more than happy to give input on what is going to work the best for you. If you have worked with contractors before or this is your first time, you will understand what a convenience it is being able to move straight through your project without having to wait for a plumber, electrician, tiler or other craftsman to come in and add their special touch to your new bathroom. Our pricing is fair and very competitive. We also handle one bathroom remodel at a time to insure that you have a quality experience with remodeling your bathroom. The nature of business with a contractor is being able to handle more than one thing at a time, when dealing with us you will never feel that we are fitting you in between jobs. We will move through your job as quickly as possible from the beginning to the end of remodeling your bathroom. Why not pick up the phone right now and find out how easy and pleasant remodeling your bathroom can be. Once you have decided that you want to remodel your bathroom, it helps to know the steps required to get your bathroom remodeled going. If you plan on just a surface remodel you won’t need apermit, however if you plan on any structural changes, wiring or lighting changes, different plumbing, moving a toilet for instance you will need a permit. The process for a permit is pretty simple, even a homeowner can do it. Somehow this term has taken on a negative connotation for home owners, but the permitting process is meant to protect the I’m. Just because your contractor has tools doesn’t mean they know how to use them. The work that requires looking at the most is work that will be covered over like the plumbing, electrical shower pan. You want to make sure no problems will pop up down the road, an insurance policy if you will. If your remodeling contractor doesn’t want to deal with permits, find another remodeling contractor. You will need to bring your checkbook along with three sets of site plans and working drawings for most bathroom remodels. I would highly recommend that you have someone help you at this point unless you have experience drawing and what is required to be shown. If you are going to make your bathroom bigger by adding an addition to your bathroom you will need a little more information. The plans are important because they show to the building officials what you plan to do, they show your remodeling contractor exactly what you expect done. There are important, specific things that big building department is looking for that you are aware of the many different requirements that go into a bathroom remodeling project. If this is something you wish to tackle there is software to help you, that you will spend a lot more money to learn than to actually pay to have it done periods in addition, you don’t have the necessary paperwork ready you will not be allowed to apply for a building permit until you do. If you decide to do it yourself, you can find the information at the city offices you live in or the county buildings. The building permit fees are collected in two stages, processing fees and issuance fees. The processing fees are collected when you submit your application, the issuance fees are collected when the building permit is issued. The fees cover the building permit, plumbing permit, electrical permit, mechanical permit etc… There are some other fees as well depending upon how big your bathroom remodeling project is and what you plan on doing. It will take approximately two weeks for your building permit to be issued from the time you apply for your permit. The reason is there are a number of different agencies and divisions and departments that way in an approval of your building permit, so it takes a little time. Be gentle warning if you will, if you get in a hurry and start work without the building permit being issued when you get caught, you will be approximately double the price of the permit and maybe more.